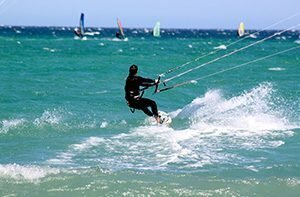 La Ventana Bay is rated one of the best kiteboarding beaches in the world. Located between Mainland Baja and Cerralvo Island, the bay stands in front of a wind gap (or window) that blows strong, steady winds from mid-October to April. Large, wide beaches make it easy for beginners to launch and land the sails; and easy, flat waters provide for the safest learning ground. Casa Tara offers the ultimate stand up paddle and kayak cruising experience. Rent a board or a kayak and go out at sunrise when the water is calm or enjoy the sunset with choppier, more daring waters. For surfers, we also have occasional wave days at the south end of the Bay! El Sargento and La Ventana both offer many miles of trails where the riding is fast and fun. 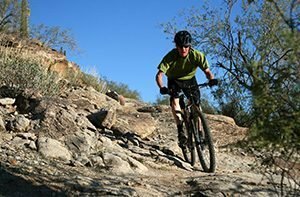 Ride your bike uphill or take an energizing hike overlooking the beautiful Sea of Cortez. With an average of 85 ft visibility underwater, warm temperatures and calm seas, Espiritu Santo Bay and Cerralvo Island are dream spots for beginner and advanced divers. 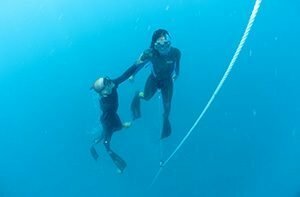 In Casa Tara we offer personalized and small-group Freediving and scuba diving courses through the guide of our professional, AIDA certified associates in La Paz. You will be on the hands of experts! 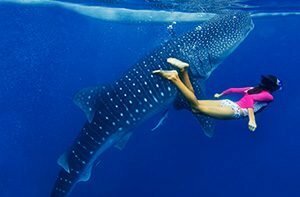 From early winter until late spring, whale sharks –the largest species in the ocean– return from the cold waters of Alaska to the warmer ones of the Sea of Cortez. You can watch these loving animals in their habitat or even swim with them! Only an hour away from our luxury beach resort, our certified associates will take you to the most exciting expedition of your life. 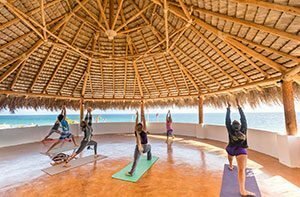 Casa Tara Retreat offers yoga lessons for all levels, all year round. Access our calendar to know more about our weekly programs in Vinyasa Flow, Ashtanga, Hatha yoga and more. Our luxury beach resort also hosts yoga retreats. Click the button below to see our upcoming events! Fishing is the main economic activity of El Sargento town. 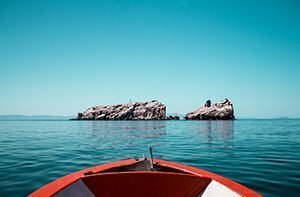 The Sea of Cortez is home for local fishermen, who will gladly guide us to where the best catches are. 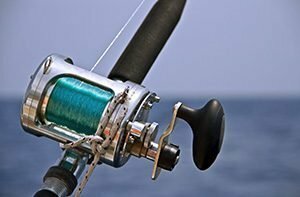 Cerralvo Island is surrounded by a very rich marine life that provides true treasures for big-gamers: Mahi Mahi, Cabrilla, Groupers, Wahoo, Yellow Fin, Sierra, Black Marlin, Blue Marlin, Striped Marlin and more! Right in front of Casa Tara, across the water, is a 16-mile-long Virgin island of approximately 35,000,000 acres named Isla Cerralvo. The landscape features beautiful arid desert flora and a vast extension of coral reef that will astonish you. We can take you there on our panga to spend the day snorkeling, hiking or just having a fun picnic on the beach. El Sargento and La Ventana are two neighboring towns founded by a group of fishermen in 1949. 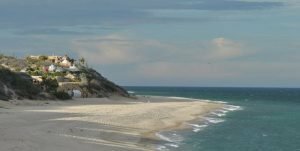 Since then, both towns have remained rural, but you can find good restaurants that serve regional-style breakfasts and fresh seafood. There is a growing foreign community that stays for months during the windy season and you can see them organizing jazz jams at local venues or throwing art shows at private places. In season, you can also visit the Farmers Market on Thursdays or attend a social gathering at Playa Central with live music, pizza & beer.